Google's cloud storage platforms -- Google Drive and Google Photos -- are getting new desktop clients. The move comes as a result of Google's desire to combine all of their existing cloud storage solutions into one cohesive app, something they've wanted to do since July. Moving forward, users who had installed Google Drive and Google Photos on their computers to backup data will be using a new tool called Google Backup and Sync. 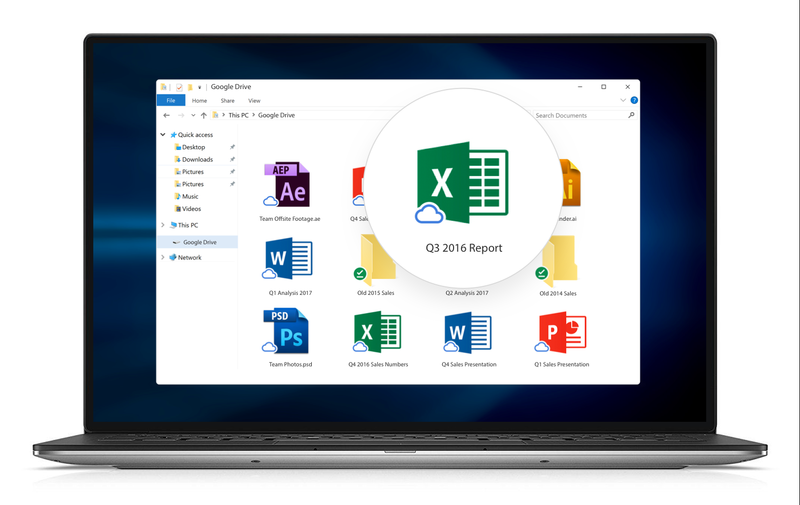 Meanwhile, enterprise users and G Suite customers will have access to a new upcoming "Drive File Stream" application which officially launches on September 26. In a blog post, Google announced that starting December 11 file sync applications for Drive and Photos will lose official support and shortly thereafter, in March, they'll be removing the applications entirely. If you've never heard of Backup and Sync (download here) prior to this announcement, don't worry. It functions in pretty much the same way as Drive. You simply upload your data and photos to the cloud, sync it with the desktop app, and call it a day. The upcoming Drive File Stream works a bit differently. While it retains most of the core functionality of Backup and Sync (file storage and syncing), it adds a few new features that will benefit businesses. For example, File Stream users will be able to stream files on demand, access collaboration-friendly "Team Drives" (the settings for which can be controlled and changed at an administrative level) and sync individual files at will, while Backup and Sync only allows for the syncing of entire folders. And if you're worried you'll forget to migrate over, Google has your back. Starting in October, desktop warnings will pop up periodically to let you know the Drive uploader (which many simply call "Google Drive," hence the confusion) is being removed.